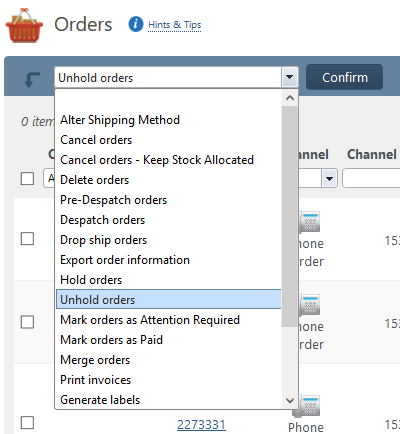 On the ‘Manage orders’ page you can now bulk Un-hold orders. This will revert the order back to the status it was before it was placed on hold. You can now despatch pre-despatched orders via the tracking number or the delivery confirmation number. 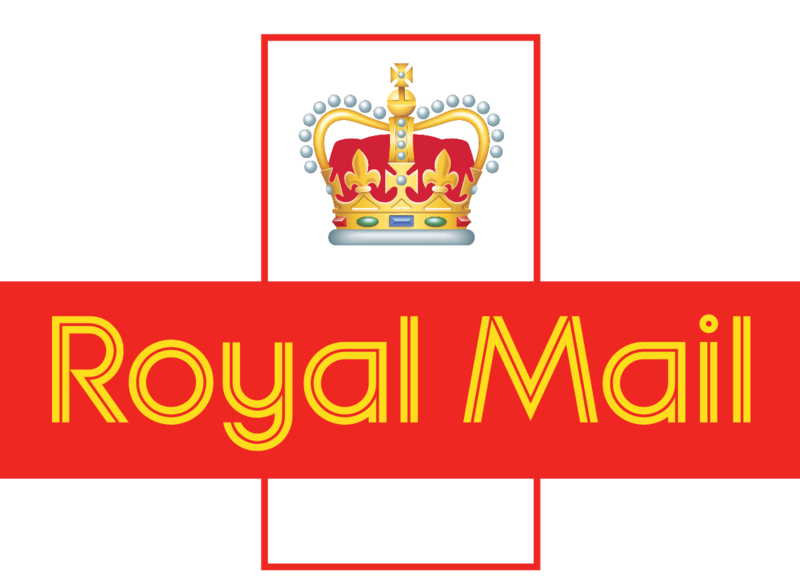 If you are unsure of how to pre-despatch orders, please click here. To use this function please go to Warehouse>Despatch Order/Pickwave. You will be presented with the below screen. Simply scan or manually enter the relevant Tracking Number / Delivery Confirmation Number to despatch your order. You will now notice that the fields have been rearranged in the Shipping & Handling tab for products. To locate this page please go to Products>Manage products>Edit product> Shipping & Handling. When the purchase order has been created. When the purchase order has been confirmed by the supplier. Please note, the due date for purchase orders cannot be changed once stock is being booked in. That’s all for now. Stay tuned to our blogs, there’s big things to come this year. As always, if you have any suggestions for improvements or further ways in which we can benefit your business, we would love to hear from you. Seasons Greetings and welcome to the last release blog post of 2018! We hope you are all enjoying this festive season as we have been. Just want to say a big congratulations to our customers, for what has been most people’s busiest peak period ever. StoreFeeder has seen a record breaking amount of orders being imported and despatched through the system. As always we have been working hard to support you all through this busy period, and as such, development of new features and updates have been lower than normal, but we have made a few updates. Here is what we have been working on and what is to come in the New Year. These added bits of information will provide you with more information about your post. When listing to eBay, you will see some new options in the eBay settings tab. You will now be able to specify if International Returns are accepted and in what time frame these are accepted in. This will also allow you to specify who pays the shipping cost for International Returns. A long awaited integration, that has been continually worked on, is near completion and should be ready for our next release in the New Year! These fields can be found in the shipping and handling tabs against the products in StoreFeeder. That’s it for now. As always, if you have any suggestions for improvements or further ways in which we can benefit your business, we would love to hear from you. 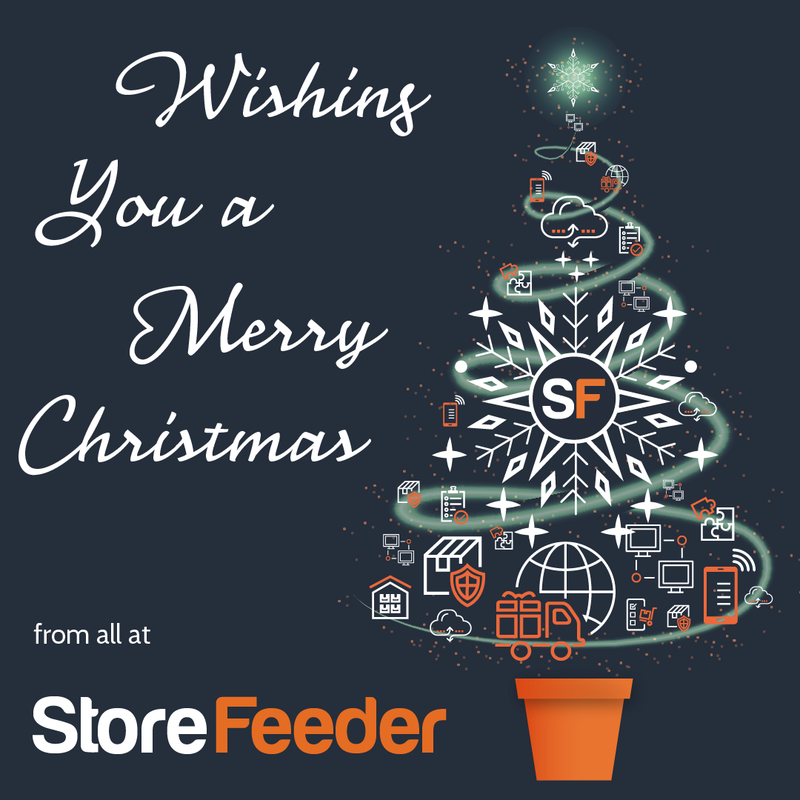 From all of us here at StoreFeeder, Merry Christmas and happy selling. As you may have seen in a previous blog post, the Development Team have been hard at work on work to allow users to take advantage of the new eBay Product Based Shopping Experience (PBSE). We have also been hard at work on further improvements to functionality within StoreFeeder and the StoreFeeder App. 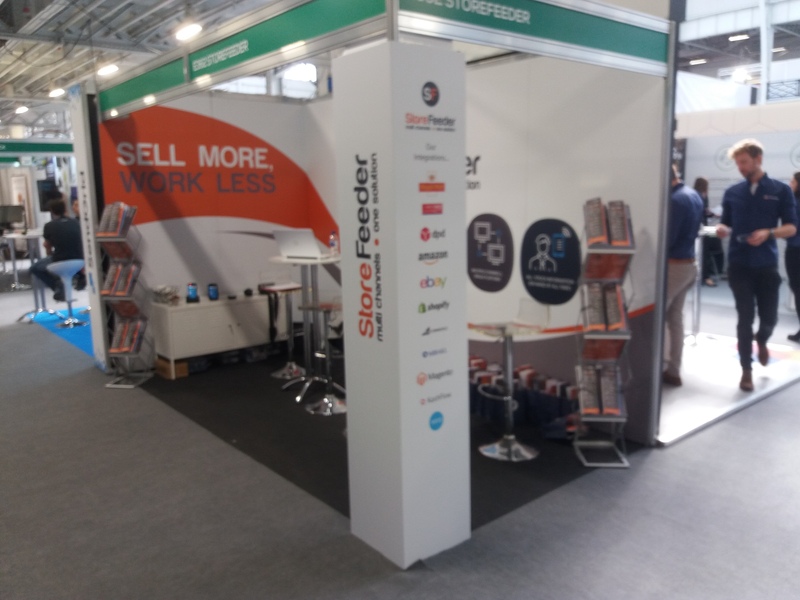 Oh and we had a great time meeting old and new customers at the Ecommerce Expo in London!! To access this great feature, you need to create an email account on StoreFeeder and an email template that will populate the email that is sent from the system for the return. The label is simply attached to the email. Well, now it doesn’t!! 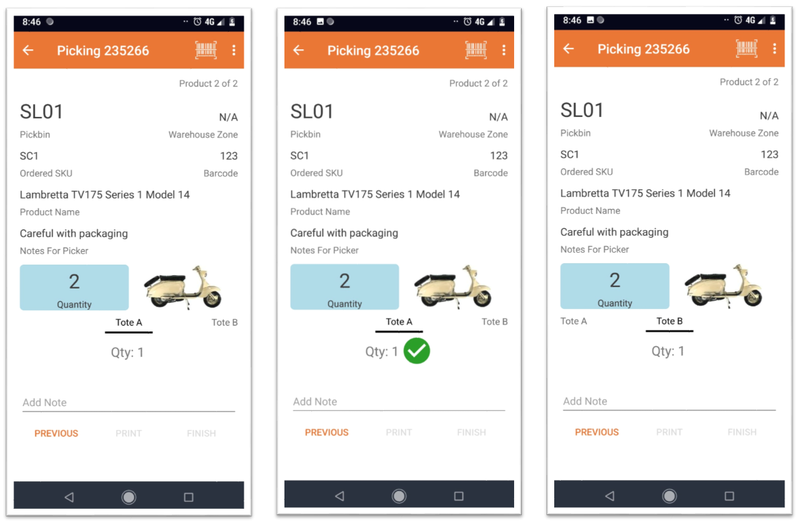 If your despatch operative has more than one product in a pickwave with the same EAN, when they scan the barcode on any of these items, the system will open a new popup and ask you to select which is the correct product variation before despatching the order.